Our Current Lectures are based on a 45 to 60-minute format, depending on your groups’ meeting agenda & time frame. We prefer to use both digital slides and a trunk show to share our ideas, but we are nimble and can adapt our presentation to a wide variety of situations. Our goal is to educate, to encourage and to “WOW!” the audience members. There’s nothing we like better than to hear the audience gasp with delight! We generally bring several suitcases filled with Silk & Salvage Quilts to show. We also have work-in progress samples which illustrate our working methods and class techniques. We love to talk about our quilts! Please contact us on the form below to book a lecture for your guild, group or event, or with any questions you may have. A bit of history, a bit of inspiration, & a bit of step-by-step Show & Tell… We’ve been making quilts from Silk and from Salvaged materials for quite some time now, and the end is definitely NOT in sight! 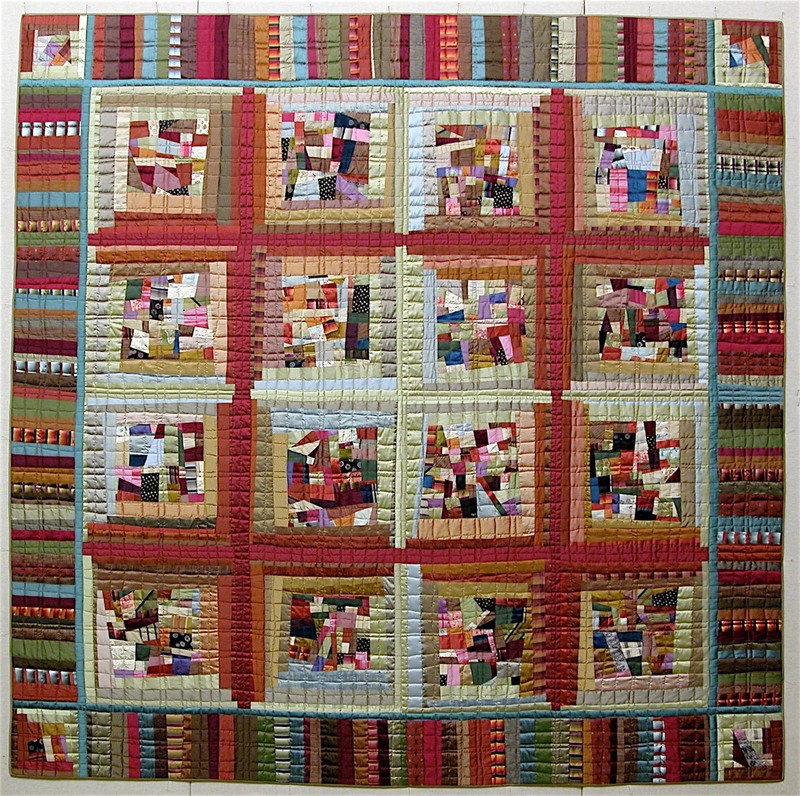 Come see a variety of quilts that Sue Fox and Julia McLeod have been making, along with the themes and techniques we have been exploring, each in our own individual styles. Being obsessed with a material or an idea can naturally lead to working in a series—it’s all about the “What if…?” factor. After all, once you have a theme or a technique in hand, why not fly with it and see where the exploration takes you? "Where’s the Cotton...??" Exquisite Quilts made with Unexpected Materials. Before easy access to the local quilt shop, before internet shopping, how and where did one obtain materials for quilt making?? And once a quilt-maker had a collection of available materials, how did those materials inform design and construction? 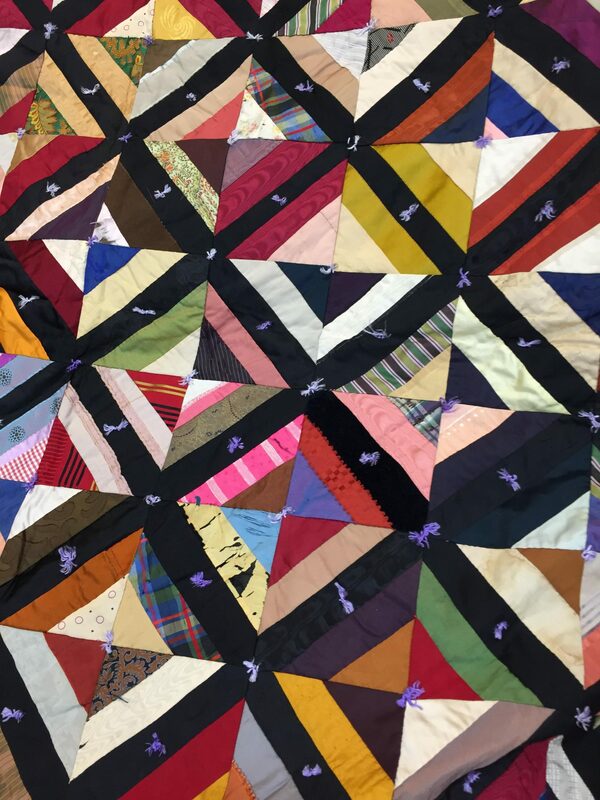 What can we learn from quilts made with a restricted supply or unusual types or sizes of materials? 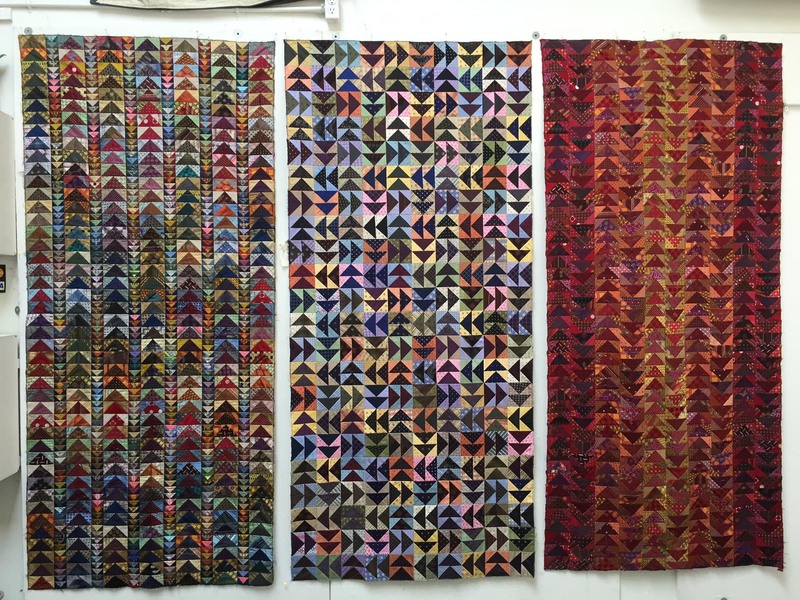 Image on Right: Vintage silk and wool quilt. Maker unknown. We generally bring several suitcases filled with Silk & Salvage Quilts to share. We also have work-in progress samples which illustrate our working methods and class techniques.